A grand Mansion house that offers a unique alternative to the traditional island resort. 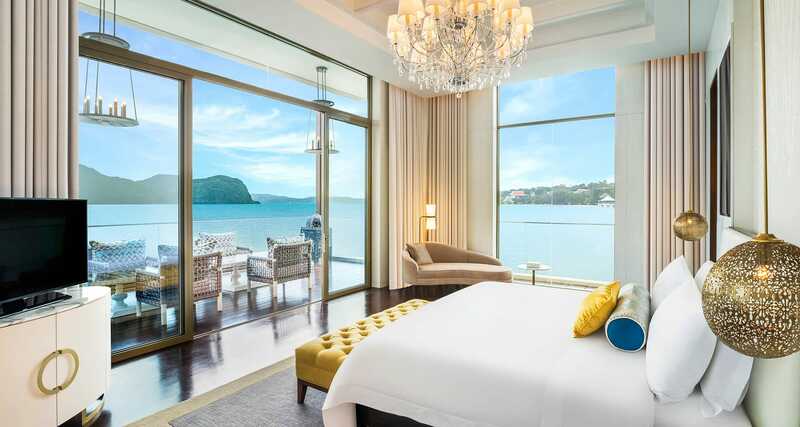 The St Regis Langkawi takes guests on a journey of relaxation, beginning at the impressive arrival through to the less formal sea villas, the layouts and interiors becoming more casual as the guests move through the hotel towards the lagoon area. 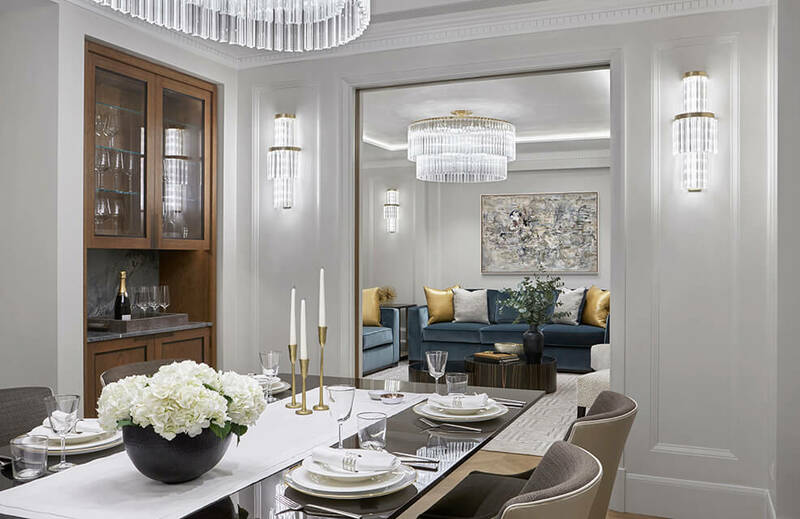 The focus was placed on creating a glamorous setting reminiscent of the European Rivieras, with fresh and light interiors and grand open spaces. Colour schemes have been influenced by the sea and the island vegetation that surrounds the resort with punches of ocean blue and canary yellow. Where possible double-height volumes were employed in the Public Areas to give that “wow” factor whilst keeping other lines refined and simple. Within the guestrooms, a slight difference in styling is offered, with more formal and grand rooms located inside the main Mansion building and more relaxed rooms outside located in the lagoon areas and above the sea, all with extensive external balconies so guests can make the most of their beautiful surroundings. Beautifully detailed rugs influenced by Batik have been hand-tufted and hand-carved in the styling of the island’s traditional craft. Inside the guestrooms, beds are orientated towards the sea helping to focus the guest’s attention on the proximity of the water. The pool deck with private infinity pool. The St Regis Bar in contrast to the rest of the hotel offers the guests a richer and sultrier atmosphere and was heavily influenced by the views into the jungle outside. 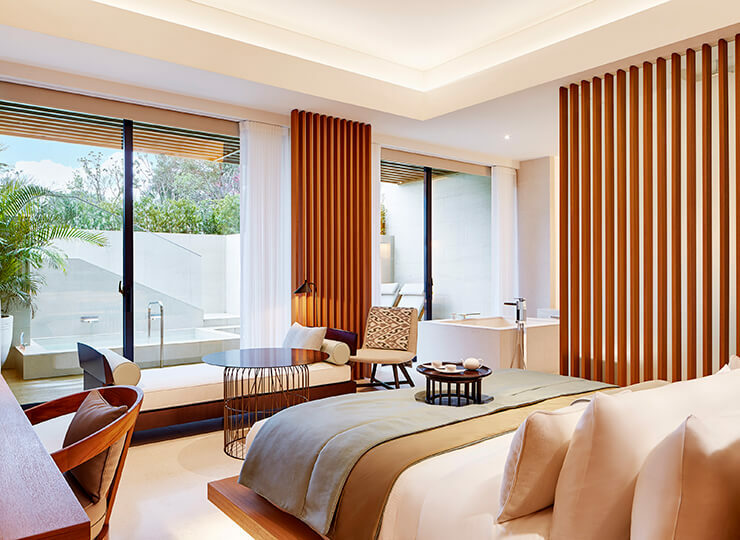 Dark timbers to the ceiling and walls, petrified wood tables, volcanic stone wall panels and soft furnishings, that again echo the colours of the vegetation outside, help bring the island into the hotel. 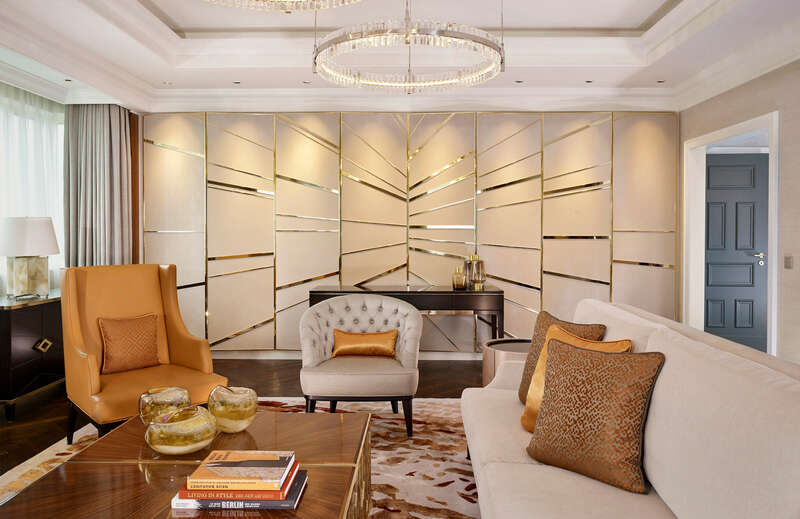 Overhead a striking three metre wide chandelier of emerald green agate crystal acts as a lavish centrepiece and brings a pop of colour to the darker palette. Extending out of the bar and acting as an exclusive space for private events, sits the Champagne bar with its palette of smoky greys, sparkling chandeliers and floor to ceiling wine cabinets.